YOU ARE DIRECTLY ON THE OCEAN! 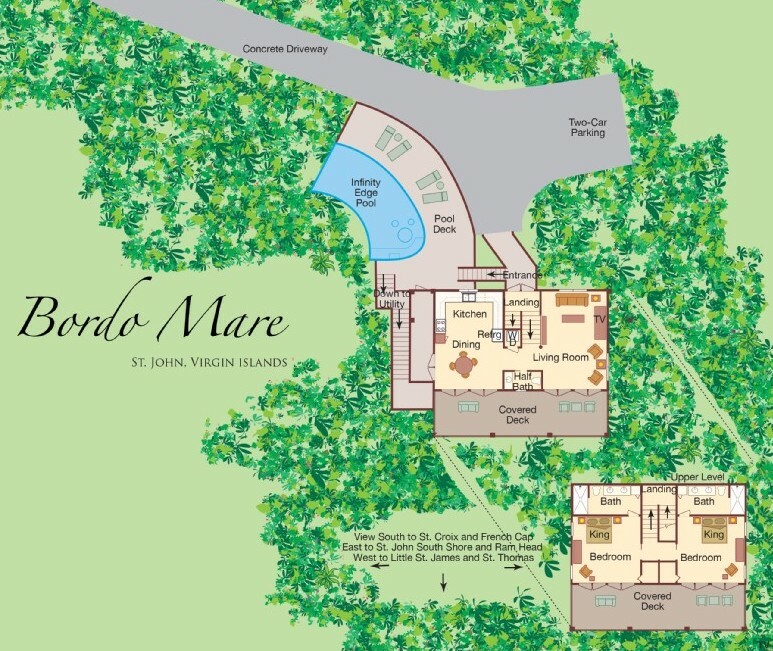 Few villas can say that and none are as new as Bordo Mare, which was built in 2014. NOW WITH FULL VILLA A/C IN EVERY ROOM! 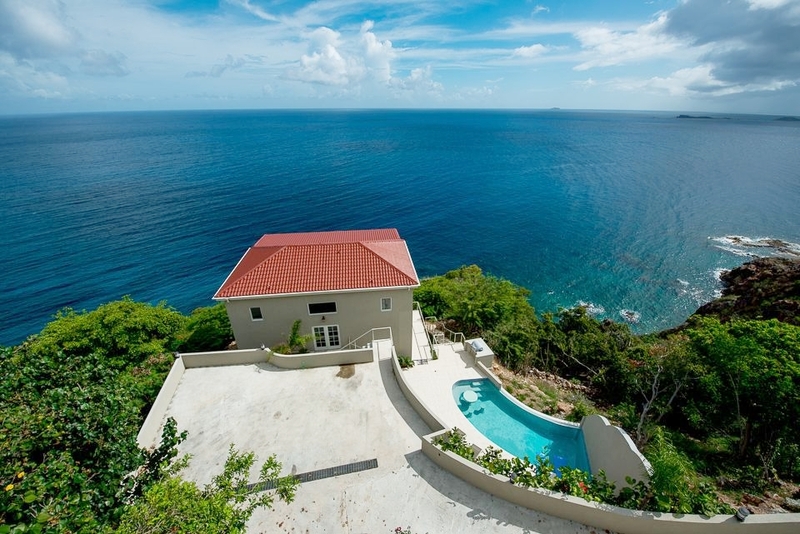 This is the biggest, baddest two bedroom villa on St. John. The ultimate luxury getaway. 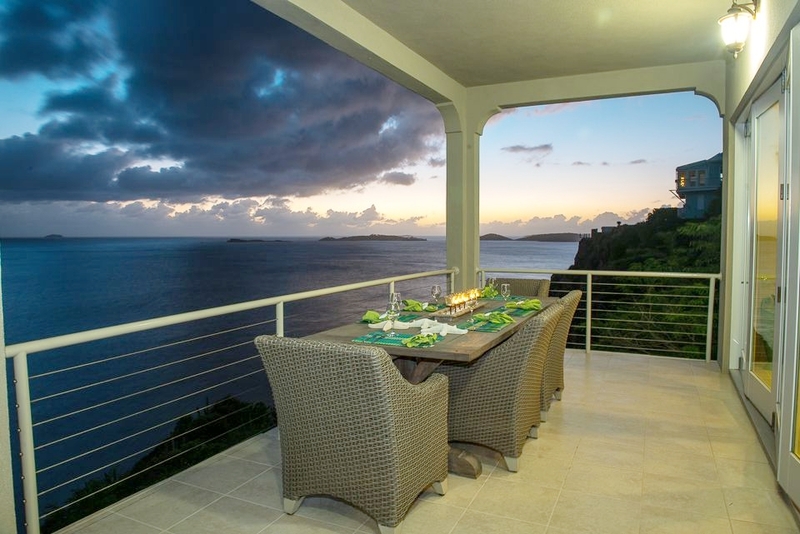 With two equally sized, king size masters facing an unobstructed view of the ocean. 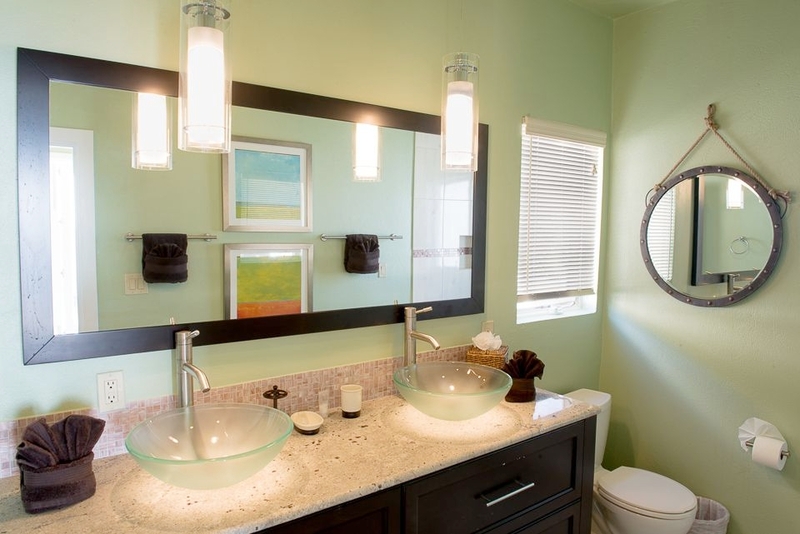 It is ideal for two couples to enjoy. Perfect for romance, or just to get away from daily life. Situated 100’ above the crashing surf on the ocean’s edge. Bordo Mare has an infinity pool with seating area that accommodates four. 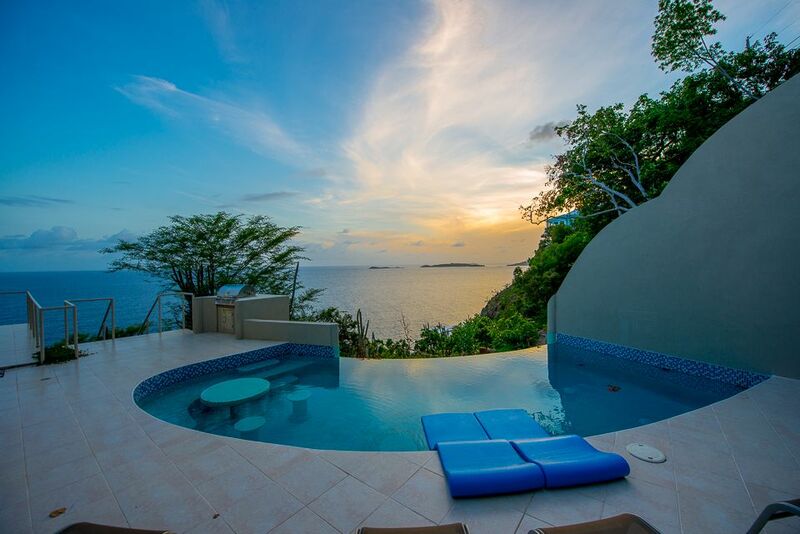 There you can enjoy afternoon libations or that evening swim while looking out toward the twinkling lights of St. Thomas and amazing winter sunsets. 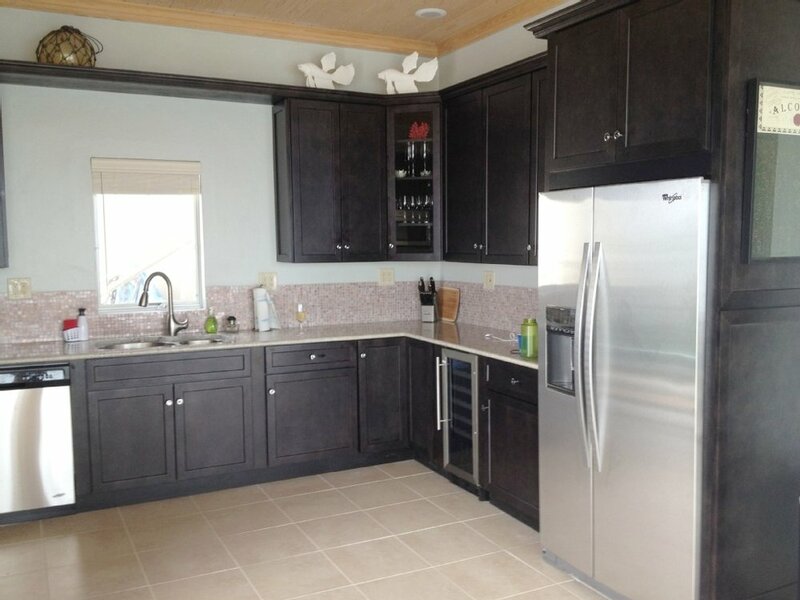 It has granite counters, stainless steel appliances, including a 26 bottle wine cooler! 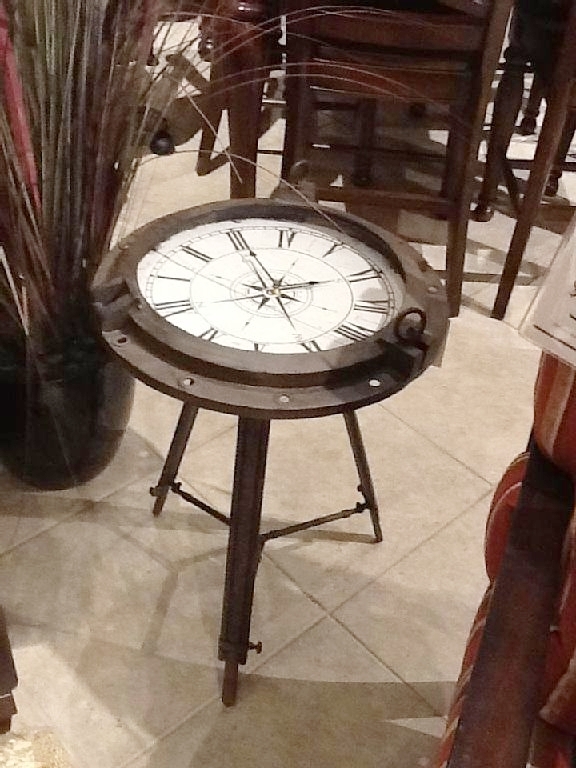 Top of the line furnishings throughout. The dining choices, poolside, inside or out under the stars, at your table for six, watching the sun slip down in the west. 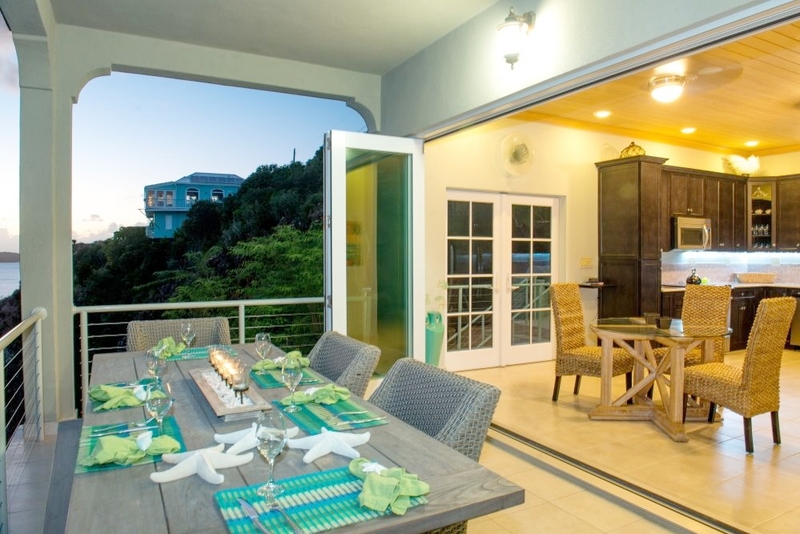 You are less than five minutes away from Cruz Bay and its restaurants and entertainment. This villa is the final word in luxury, convenience and amenities. Views are 'killer' from the living, dining, massive decks and equal sized master bedrooms, everything faces the ocean. Other places might have ocean views, but at Bordo Mare you are one with the sea. I have chosen 'Nana' type doors for these locations. 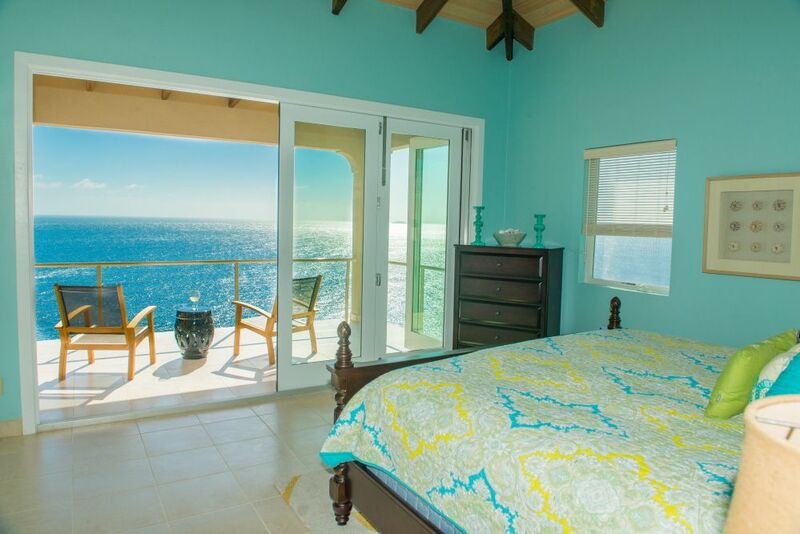 Basically five panels that move totally to the right and provide an unobstructed panorama ocean view from every room. The pool deck is large, overlooking the infinity pool where there is additional seating around the pool table which lights up at nite. In the morning grab your coffee and take the one mile circuit for a gentle walk of the quiet neighborhood while you watch iguanas lazily move out of your path. At night, you'll see the lights of St. Thomas and cruise ships moving slowly from right to left bound for their next island port. 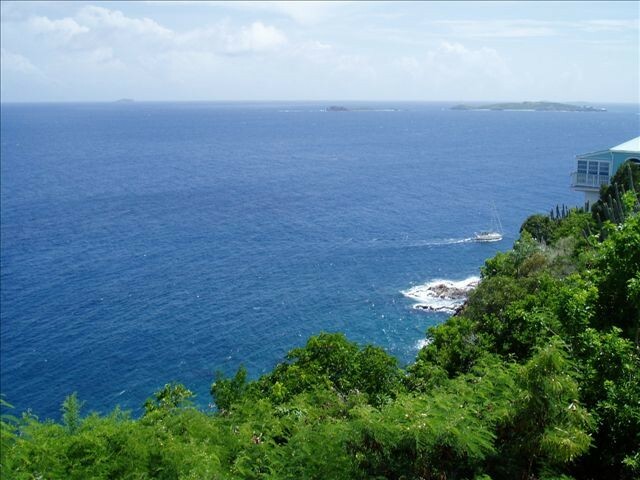 In the distance most nights, car lights on St. Croix are twinkling some 30 miles away. The low throated sound of tree frogs and gentle crash of surf below will lull you to sleep in your incredible dual master suites. 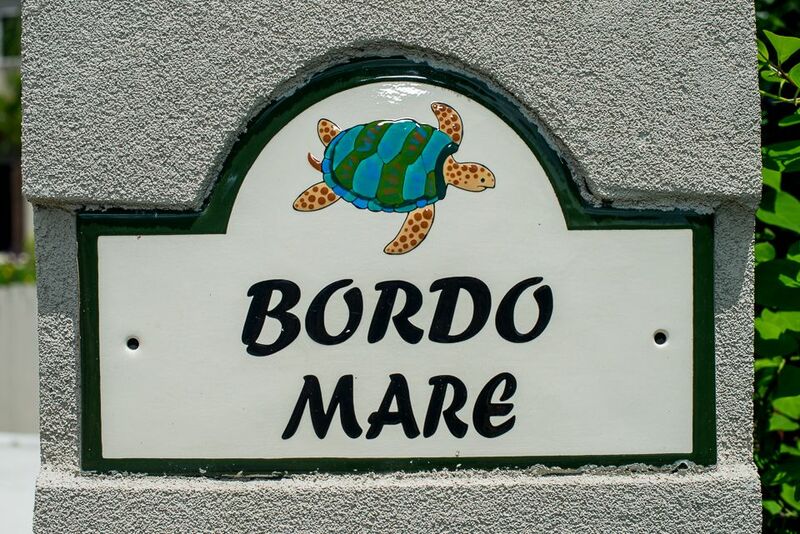 You'll think you're in heaven rather than 'Bordo Mare' Edge of the Sea! *NOTE: Add $500/week for 3rd or 4th guest. We rented Mike’s place for a week with our 2 boys. The house was great, we loved hanging out in the patio in the morning and evenings and indulged in the pool after a long day hiking and hanging out at the beach. 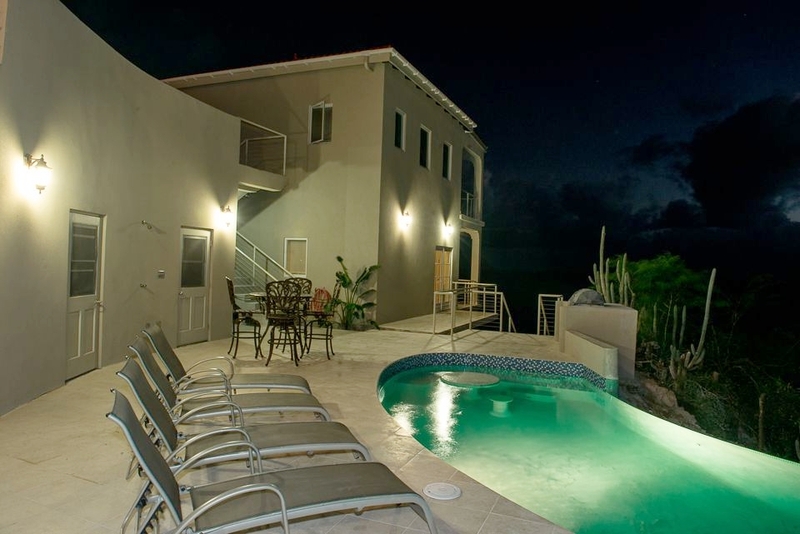 The house is close enough to beaches and Cruz bay and still you are able to escape from it all. 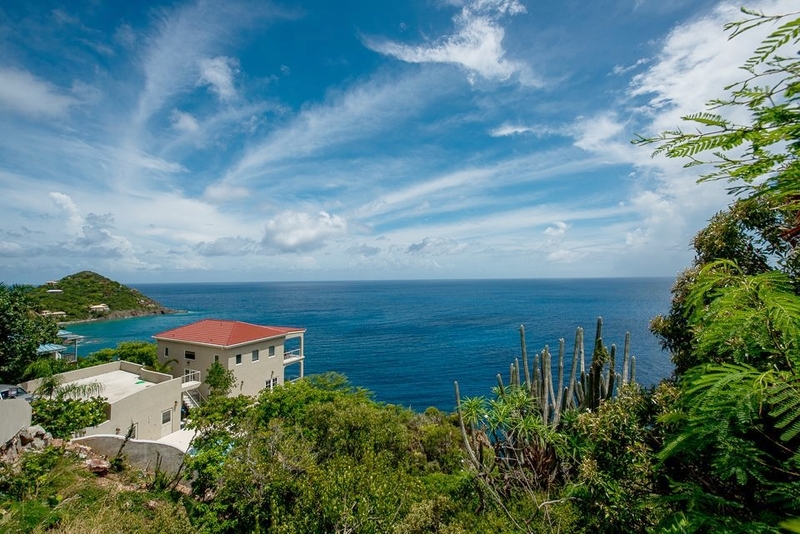 My family and I had an unforgettable experience in St. John thanks to Bordo Mare! The views from any part of the house were incredible, and the house was very clean and well-maintained. The space fit our family of four perfectly! We enjoyed hanging out by the pool during the day and relaxing on the couches on the patio at night, watching the sunset and then the stars.